Liberty was founded in 1875, but the present Marlborough Street site, with its ships’ timbers and leaded windows, was built in the 1920s. The interconnecting jumble of rooms, with the odd fireplace and cushioned window seat, makes for an intimate feel – as if you’ve strayed into a private room in a stately home. 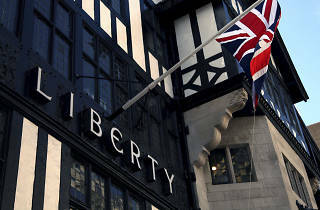 It’s not an accident, founder Arthur Lasenby Liberty wanted customers to feel as if they were exploring someone’s home, keeping the shopping galleries small, albeit linked to three rather grand atriums. French publishing powerhouse Assouline opened its Literary Lounge on the ground floor, where you can flick through fashion, art and photography coffee-table books (which are, oddly, the size of coffee tables). 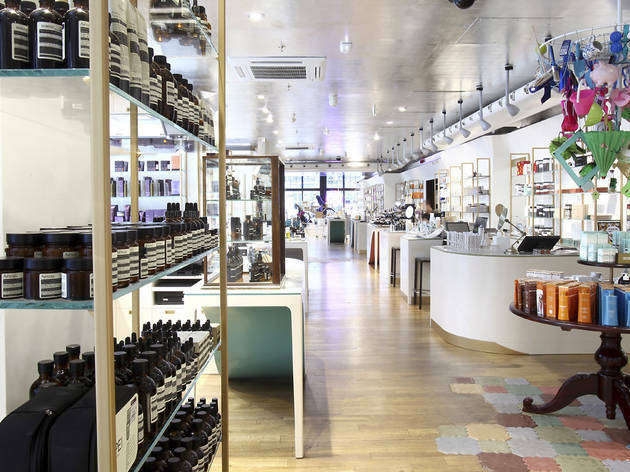 The Beauty Hall then doubled in size with 10 new brands – their counters manned by an eerily beautiful staff – and three new treatment rooms. 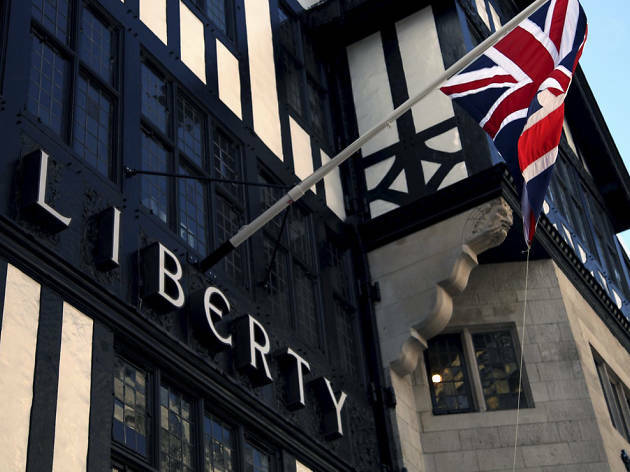 But for all its pomp and fizz, Liberty doesn’t take itself too seriously – there’s a genuine sense of whimsy in its approach to retail. 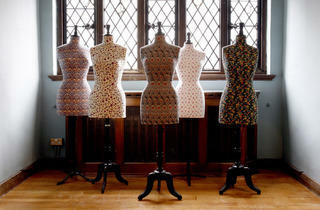 Collaborations with brands such as Puma and Nike produce floral sneakers (that instantly sell out) and, via its Art Fabrics project, Liberty has worked with babydoll-dress fancier Grayson Perry and even Hello Kitty to create exclusive fabrics. It also hosts Dragons’ Den-like open days for entrepreneurs to pitch new products (which usually involves nervous people dragging sofas and knick-knackery up and down the stairwells). Visitors can also have their moustache expertly trimmed and waxed at Murdock barbers or their barnacles plucked off by expert chiropodists in the Margaret Dabbs Sole Spa. 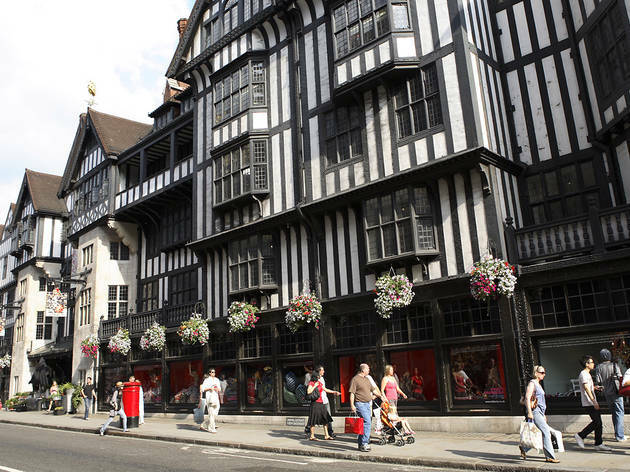 Liberty is a beautiful Tudor-style department store not far from Oxford Circus. Strolling through its 5 floors you'll find classic and eclectic designers' clothes, stationery and greeting cards for whatever event you're planning on attending, a café, flowers and plants of a wide multitude of colors and now, since we're close to Christmas, half a floor dedicated to baubles, trees and Christmas decorations able to satisfy even the more difficult tastes. Surely the store is pricey, but it's well worth even just a visit to admire the beautiful building and its often peculiar products. I have been hunting over London to find a stockist for Escentric Molecules perfume, which contains the Iso E molecule, when spritzed reacts personally with your pheromones creating a unique and addictive fragrance. So happy to have found it here, GO Liberty! So many times I've walked past Libery but never imagined what I'm missing out on! A gorgeous interior setting and a carefully curated selection of beautiful things on display, Liberty feels more like a museum than a department store. It's hard to describe the historical draw (it's been here since 1875!) from the moment you step in. Even just looking at the building is worth it - gorgeous wall carvings and wooden stairs, with a balcony-style display, almost reminiscent of Shakespeare's Globe. And then, of course, there are the *things* - luxurious draperies (of which you can order a tailor-made shirt), gorgeous fashion, stylish interior design and, of course, luxurious edible goods from chutneys and teas through biscuits and crackers and sweets. Naturally, the best bit is the recently opened Christmas display - it's never too early to start, and with life-size reindeer, giant, cosy stockings, Christmas treats and decors and baubles of endless variety, it's sure to leave you drooling and covered in glitter. If you're after a bit of early Christmas magic, this is the place to be! Liberty is a department store like no other. From the moment you see the tudor exterior, followed by the smell of the heavily perfumed main entrance from the abundance of flowers surrounding the door, you know you're in for a treat. Half shop, half working museum I can't help but spend more time looking at the architecture instead of the merchandise it houses. I recommend going a couple of times to really appreciate your surroundings. Take your time strolling from one room to the next as it really is a maze, and each room offers its own unique twist that altogether makes up this exquisite store. Like the store itself, the products inside aren't what is found in any run of the mill high street store. They are all individually chosen to be inkeeping with their surroundings. 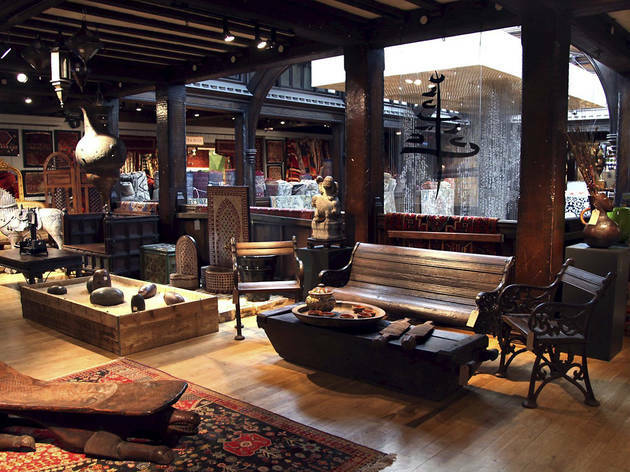 Personally I go straight to 4th floor, arguably the most well known of all the floors, it is a collection of different items for the home, sourced from all over the world. From armchairs to tables, cushions to ornaments, and loads besides. It is simply a treasure trove, and even that doesn't do it justice. Finally don't forget to peek, and even buy, the world famous Liberty print scarfs. I like to think of them as the opitomy of Liberty, and you'll know why when you see them. This place is just so quintessentially British and if you are a visitor why shop in a chain super store when you can go up and down the oak staircases and wonder through racks and racks of interesting clothes brands. Liberties is full of treats which will probably aspire you to work harder so you could afford them. This is my go to place when there's sale on. The items are unique and most likely you wont be able to buy them elsewhere. I hope this shop never shuts down as to me its a staple of London Shopping. An elegant, inspiring, wonderfully curated shop........for millionaires or those who aspire to be like them. 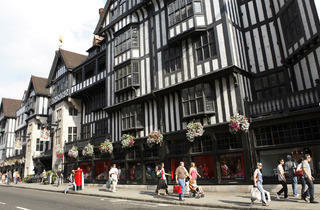 A beautiful building between Oxford Street and Carnaby street, shopping in Liberty is a visual treat. 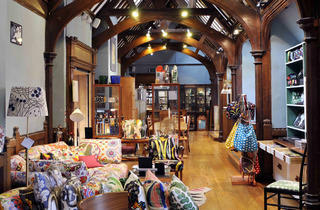 Highlights include their trademark fabrics, a great range of jewellery, homeware and the annual Christmas shop. They also offer a generous loyalty scheme, which rewards you with vouchers for what you buy and have some great collaborations (recently Uniqlo and Havianas). I really like liberty. It has a Victorian-esque feel about it. However , its filled with the 20th century. You will find all your designer gear here from muimui to givency and the staff are relaxed yet friendly. .......they have a lovely gift/cars shop which has some of the most creative cards I've seen! Its never over crowded and it smells lovely. Great store for shopping! I love Liberty. 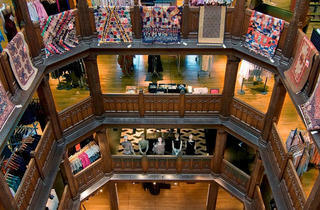 This is just a beautiful department store and one of my favourites to visit in London. Although it's fairly small, famed for its beautifully classic building and purple bags, I could easily spend several hours browsing through this store. The detailing is incredible from the wooden lifts and impressive open oakey stairway. Their haberdashery must be visited if you’re into fashion and sewing. They occasionally hold crafty workshops for a whole range of things and have tempting beauty, confectionery, classic fabrics and stationery selections. 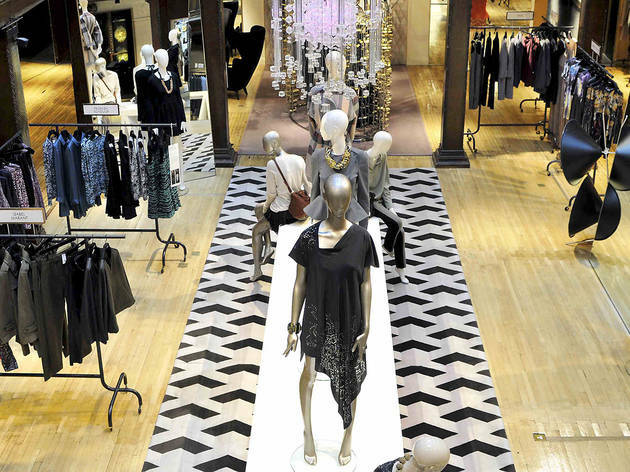 A visit to this store just makes for an extra special shopping experience in the heart of Oxford Circus. Liberty is iconic. 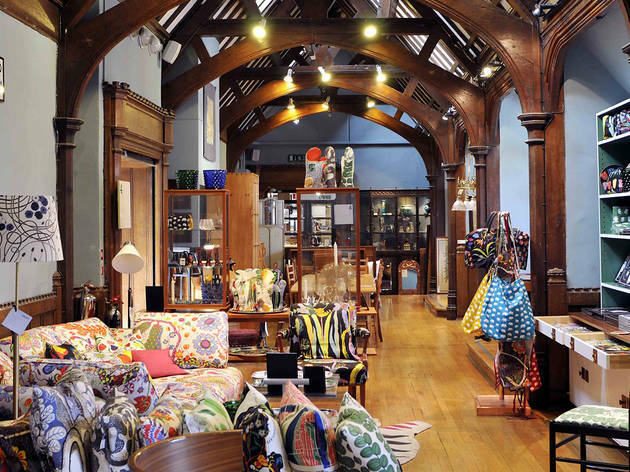 The beautiful building is famous for its ships timber and lead window designs and inside is just as gorgeous thanks to a revamp a few years ago which has added breathing space to designer collections. Split over around four floors, you have menswear all cool and smart in the basement, eclectic cards, stationery, chocolate, perfume and even a flipping scarf and jewellery hall on the ground floor, womenswear with designer clothes and shoes from the likes of Valentino and co, the top floors are for interiors where you will be immersed in their signature fabrics, interior and decorative pieces. If that's not enough, there are cafes serving up very British afternoon teas - try the scones! And the worlds prettiest entrance is enhanced by their in-house florist, Wild At Heart, who have the most beautiful bouquets. A lovely place full of history with ever changing windows - I went during Ab Fab movie Windows - check out Patsy and all the champers! 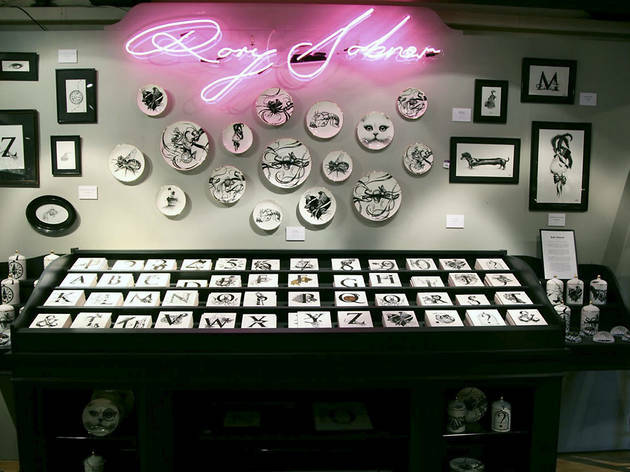 A central London shopping experience not to be missed...pass the Bolly sweetie darling! Even if you don’t want to buy anything, you should go in. 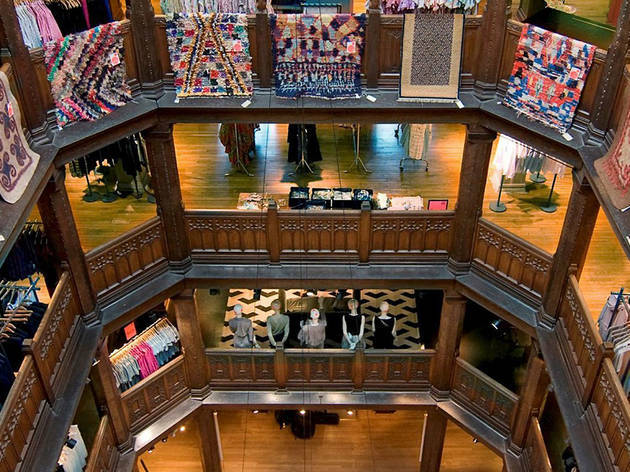 This beautiful Tudor-style building is a must-see and gives you an idea of what shopping in old London might have looked like – wonderful. 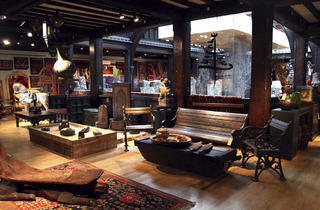 Inside is a great selection of departments and great quality objects if you want to indulge. Staff is always polite, considerate and attentive, so don’t hesitate to ask them anything. Try the entrance on Great Marlborough Street. It’s great to go through the flower shop before entering the building. Liberty is definitely my favourite department store in London. The beautiful half timbered building is fun to explore, especially perusing the international treasures on the fourth floor. Although most of the merchandise is very pricey, there are always some affordable pieces to take home, in particular from their confectionary, stationary and kitchen departments. The flower display at the north entrance is very photogenic as is the third floor with walls of colourful floral Liberty fabrics. Also, the Liberty Christmas window displays and shop are well worth a visit come November and December. Liberty's is fab for a wander round. 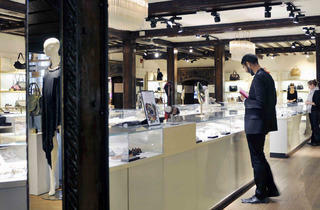 The inside decor is pure luxury along with pretty much everything being sold inside. It makes you feel special just browsing. A big recommend would be to go at Christmas time and wander round their Christmas shop which is full of beautiful tree decorations, gifts and treats. Wonderful store, well worth a visit just to see the building. Everything is of a very high quality and the staff are very helpful. The Christmas shop is particularly special! 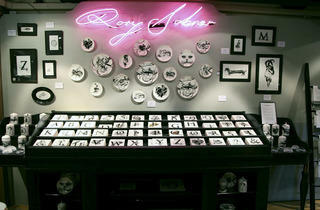 Hands down my favourite shop in London. 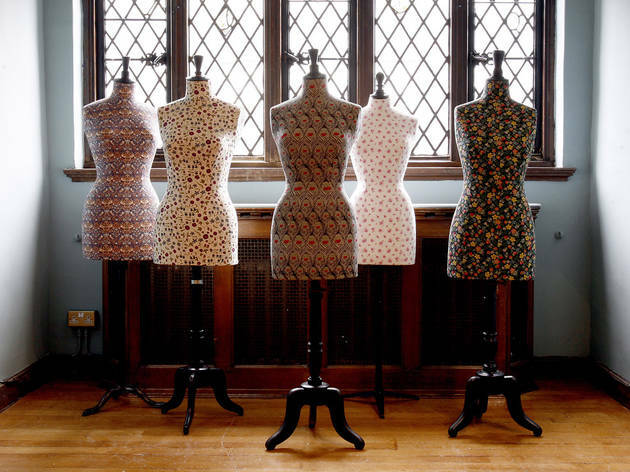 The building itself is quirky and charming while the collections are carefully curated. The staff are incredibly helpful and the Liberty Loyalty card offers the best shopper benefits around. 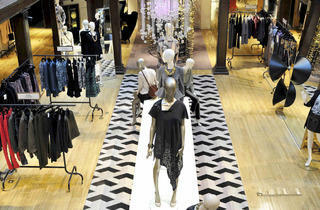 Private shopping events, purchase bonuses and discounts are just a few of the perks. If you're lucky enough to see the Christmas shop you're in for a treat! There is no better shopping experience, everything from the layout, service and carefully selected products feels so luxurious when you're in Liberty. The staff know the stockests inside out and always seem so calm (even in the middle of January) and you can seemly guaranteed quality from lower priced products all the way up to the furniture and more expensive pieces. I always pop in at Christmas because it feels all the way festive without even a hint of tinsel. The decorations department is insanely good and the sales are often 50%+ off high end brands. Selfridges eat your heart out. 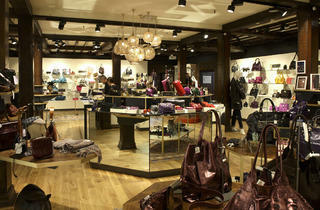 As well as being a retail institution, Liberty exudes something out of a fairytale. I have to take a few deep breaths before walking in the main entrance due to the sensory overload. The chocolate shop feels like a chic version of Wonkaland but the fragrance section is where the magic happens. I dare you to try and leave without making some kind of lavish purchase. Stunning building, beautiful decor and inspiring collections. I love getting lost in Liberty, and making my way through each of the floors. Can get a bit busy, but where in London doesn't!? Great location so make the most of carnaby st, regents st and all it has to offer. Without a doubt one of London's loveliest shops. A trip around Liberty feels a bit like wandering around an old mansion - in the best possible way. If you can brave the crowds on Regent Street, it's especially atmospheric around Christmastime. Of course, it’s best known for its fabrics, so the haberdashery section is a must-visit (even if you aren’t remotely craftily inclined), while the jewellery hall and contemporary womenswear offering are also pretty jaw-dropping. 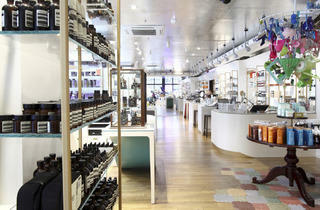 The beauty hall is one of the best in London, and easily rivals the much bigger cosmetics departments found at Selfridges etc. Look out for cult products like Egyptian Magic, Mermaid shampoo, Mane n’ Tail shampoo… as well as well-stocked counters from the likes of Hourglass, Laura Mercier, Nars etc. What a wonderful shop! Has every single thing you need under one room, ranging from affordable prices to extortionate prices, but it's amazing to see all the designer clothing/accessories, and how they have been displayed about the room. The Chocolate room is amazing, and not too pricey! Lovely shop, great staff, well worth a visit!